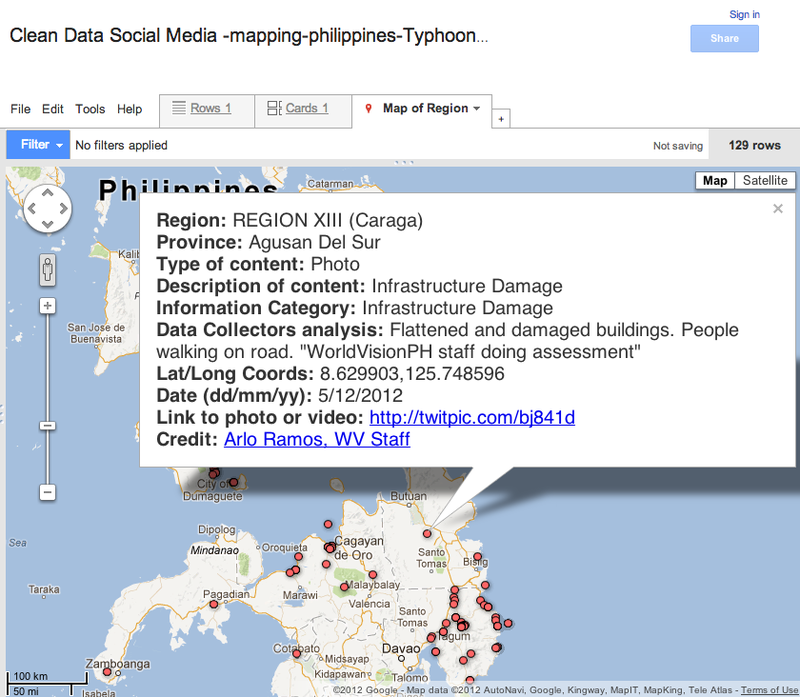 This entry was posted in Crisis Mapping, Crowdsourcing, Humanitarian Technologies, Social Computing, Social Media and tagged analysis, OCHA, Pablo, Philippines, Report, Situation, Twitter, Typhoon, UN. Bookmark the permalink. 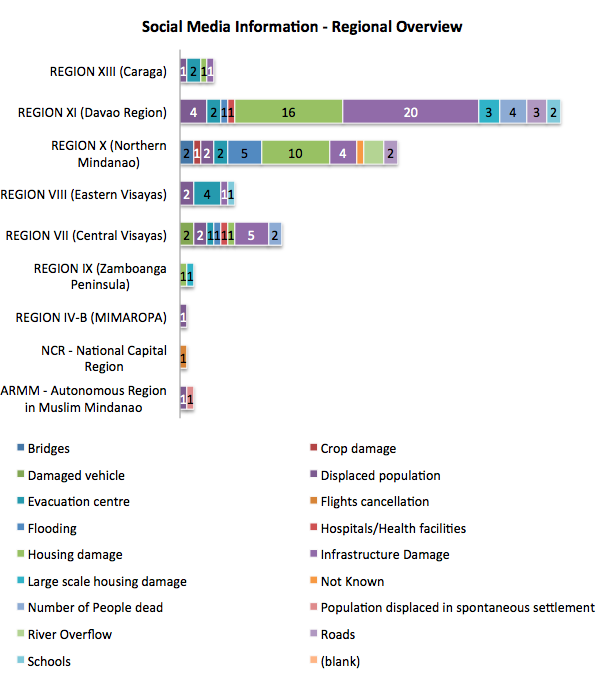 I think it would really interesting (and important) to look back at this data six months or a year from now and see how it compares to a more thorough on-the-ground analysis of impacts to determine how accurate and complete the social media sources are. Hi David, thanks for your comment. I completely agree. 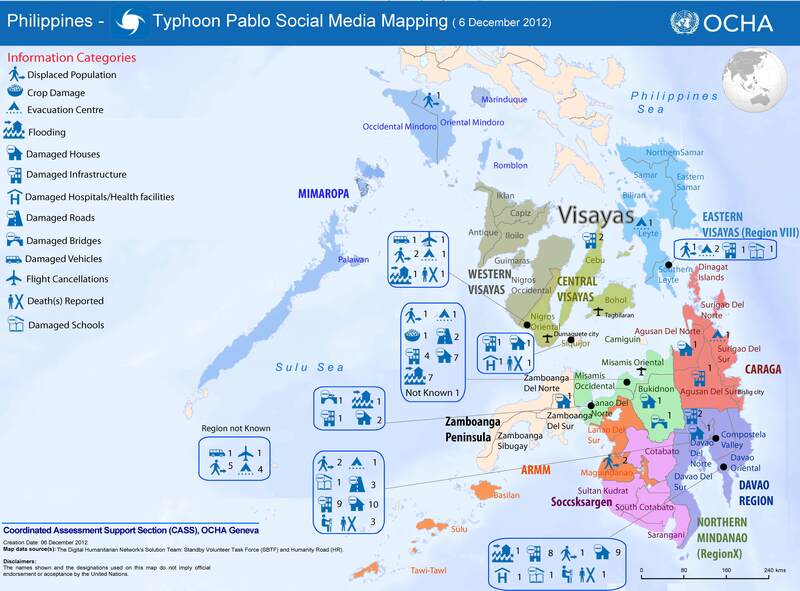 This is a great example of Social Media use in Humanitarian Emergencies! Aside from being an important first, this project should also be recognized as an important success is adapting a flexible approach in a large (and probably difficult) organizational/political setting: getting large humanitarian or development agencies to try something new is very difficult and requires a lot of background work. So a very hearty congratulations to everyone who was behind-the-scenes to ensure that this was an official product. I’m curious about following the impacts. I think that we’re all getting better at measuring the visibility of these types of projects, but I find it very hard to tie them to specific decisions. 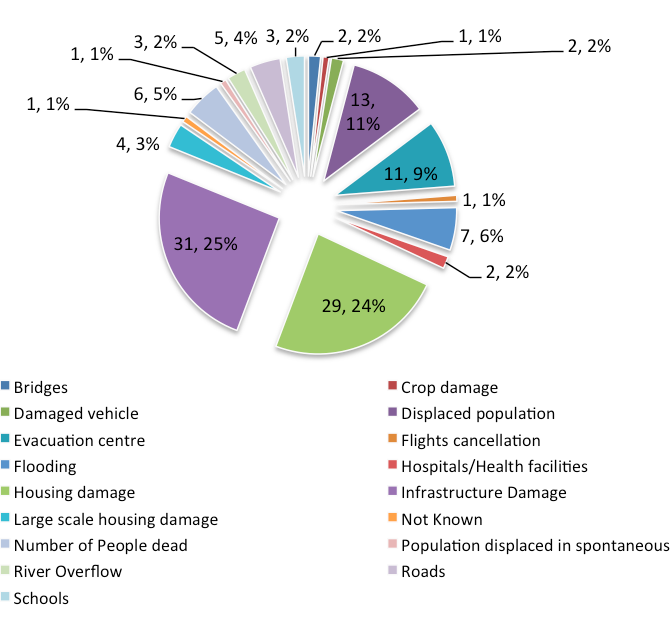 Any thoughts on how we can better measure impacts? Yes – connecting these efforts to a specific decision made is very difficult. OCHA has struggled with the same question in regards to our regular map. The social media data is intended to augment on-the-ground assessment findings to help give a better “picture” to what the impact of the storm has been. It is this combined information that helps to inform the Flash Appeal [which is a set of prioritized projects which donors can rapidly fund]. So, if we say that this data helped produce a “clearer picture” which was translated into such an appeal, can we say that it had an impact? An excellent summary, I trust this opportunity can evolve quickly, it demonstrates excellently the importance of Open Data, Shared Research & Analysis, and Inter-Operable systems, a show case for the value of Semantic Web. Optimistically, I look forward to the relatively rapid adoption and sharing of information by hundreds of Humanitarian Actors in preparedness and response going forward. With Digital Humanitarians being pivotal! Many thanks for your kind words, David! Great work from the volunteers. This takes a lot of diligence and commitment from the volunteers and I applaud them all for responding so rapidly. This is the reason I am passionate about Twitter — it is instrumental to bringing about change that, until recently, we never imagined possible. I am specifically thankful to Twitter and to your project for the help it brings to my motherland in times of need. I understand that you are moving away from crowd-sourcing, but if I can be of help, perhaps with tagging or other non-technical ways, please let me know. Hi Sue, many thanks for your kind note. We’re moving towards smart crowdsourcing, which I refer to as micro-tasking. So yes, there will be plenty of ways to help. I recommend joining the Standby Volunteer Task Force: http://blog.standbytaskforce.com. Thanks again!